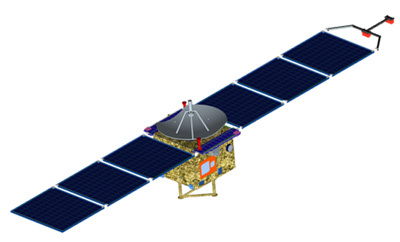 In 2007 the chinese space agency signed an agreement to launch the 110 kg Yinghuo 1 orbiter piggyback on Fobos-Grunt. This orbiter was to separate from Fobos-Grunt after reaching mars orbit. YH 1 was to enter a highly eccentric Mars orbit, which will well cover the areas of solar wind, bow shock, magnetosheath, magnetic pileup region, and tail and plasma sheet. To study Martian ion escape mechanism, its implication for water loss. To explore the Martian gravity field near equator by analyzing orbital data of YH-1. After launch, Fobos-Grunt failed to ignite the propulsion module, went into safe-mode and remained in low earth orbit. The mission was lost as the Fobos-Grunt probe could not be commanded in several communication attempts to fire the propulsion module.